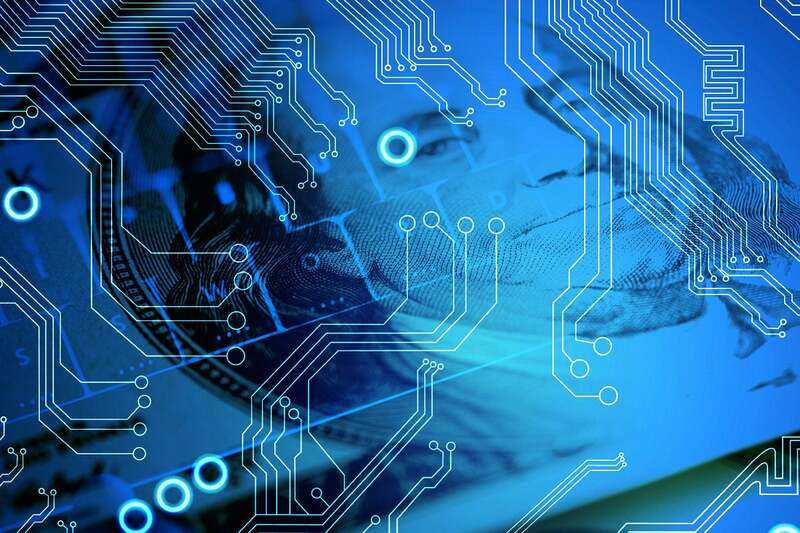 The Treasury Department, in a report, is recommending that state and federal regulators loosen their grip on FinTech and financial services firms in general and allow them to innovate. The Treasury Department recently released a report urging state and federal regulators to revamp outdated statutes and support technological innovations such as AI, machine learning and blockchain that could make the U.S. financial system more nimble and competitive. 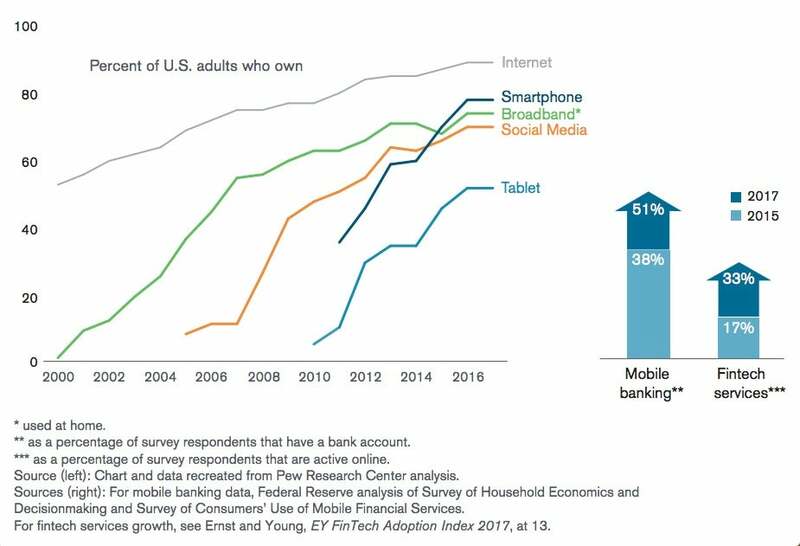 The 222-page report, commissioned by the Trump Administration 18 months ago, focused on non-bank financial services firms, such as credit lending, servicing organizations and payments networks, as well as fintech companies – tech vendors focused on innovation. The landscape for financial services has changed substantially, the report said, noting that from 2010 to the third quarter of 2017, more than 3,330 new technology-based firms serving the financial services industry had been founded, 40% of them focused on banking and capital markets. And an abundance of capital available to push innovation. The financing of digital financial services firms has been growing just as fast, reaching $22 billion globally in 2017, a thirteen-fold increase since 2010. And lending by high-tech, non-bank firms now makes up more than 36% of all U.S. personal loans, up from less than 1% in 2010. "Many statutes and regulations addressing the financial sector date back decades. As a result, the financial regulatory framework is not always optimally suited to address new business models and products that continue to evolve in financial services," the report stated. Steven D’Alfonso, a research director with IDC Financial Insights, disagreed that financial institutions’ ability to innovate and experiment has been stifled by outdated regulations. "Banks are very adept at innovating and experimenting with new products and services. The catch is the implementation of those products and services to ensure data privacy and security; it may take months or longer to prove data privacy and security efficacy," he said. The federal agency, however, specifically identified a need to remove legal and regulatory uncertainties that hold back financial services companies and data aggregators from establishing data-sharing agreements that would effectively move firms away from screen-scraping customer data to more secure and efficient methods of data access. Today, many third-party data aggregators unable to access consumer data via APIs resort to the more arduous method of asking consumers to provide account login credentials (usernames and passwords) in order to use fintech apps. "Consumers may or may not appreciate that they are providing their credentials to a third-party, and not logging in directly to their financial services company," the report noted. The Treasury also called on federal and state financial regulators devise a way to coordinate and expedite regulatory relief under applicable laws and regulations "to permit meaningful experimentation for innovative products, services, and processes. "It is important that state regulators strive to achieve greater harmonization, including considering drafting of model laws that could be uniformly adopted for financial services companies currently challenged by varying licensing requirements of each state," the report said. Ashley Hutto-Schultz, a financial services regulatory attorney with the Washington law firm of Hogan Lovells, agreed there is a "perception" the current U.S. regulatory structure makes innovation difficult because, for example, businesses with new technologies that want to launch a product nationwide must analyze risk and exposure at a state level. "If they are subject to state laws, they must also set up their compliance management systems to track and stay updated on state legislative and regulatory changes. Treasury advocates more streamlined approaches for several areas of law and regulation," Hutto-Schultz said via email. While the Treasury made some "very pro-fintech" recommendations in its report, some have perceived its position as possibly stepping on the authority of individual states to regulate local business, he said. "Consumer advocates may also take issue with recommendations from Treasury that seem sympathetic to certain industries, such as short-term small dollar lenders," Hutto-Schultz said. Regulatory uncertainty has also been cited as a reason emerging technologies, such as distributed ledger technology (blockchain), have seen relatively slow adoption. "Regulatory issues are primarily a challenge for permissionless public blockchains where anyone can join and people are really already moving significant amounts of value," Paul Brody, Ernst & Young (EY) global innovation leader for blockchain technology, said during the firm's recent annual Global Blockchain Summit in New York. Regulators around the globe have been working on how best to handle blockchain networks and the cryptocurrencies the technology enables. For example, the cryptocurrency Ether is now under scrutiny by the Securities and Exchange Commission (SEC), which is reportedly weighing whether it qualifies as a security or a commodity. Recently, an SEC official clarified the agency's position on at least one cryptocurrency. The Treasury report limited its assessment of blockchain and digital tokens, deferring to a separate interagency effort led by a working group of the Financial Stability Oversight Council. The working group is a designed to promote coordination among regulators as those technologies evolve. The Treasury also recommended that banking regulators clarify guidance regarding bank partnerships with nonbank financial firms, particularly smaller, less-mature companies using cutting-edge technologies that can help promote industry innovation. The adoption of a "regulatory sandbox" – a mechanism for developing regulation that keeps up with innovation – was also highlighted in the Treasury's report. In 2015, the U.K. was among the first nations to roll out a regulatory sandbox, focusing first on fintech services. U.K. companies can now apply to the U.K. Financial Conduct Authority (FCA) to test technologies, such as blockchain services, in the sandbox. Last year, Arizona's Attorney General submitted a legislative proposal to establish a fintech regulatory sandbox for corporations to develop the technology. The legislation – HB 2434 – passed the state House and is now making its way through the Senate. Many banks, D'Alfanso said, have established innovation labs in which fintech companies can develop new products and services. "From my perspective, vendors and financial institutions must work more closely with their regulators to help them understand how new technologies can meet customer demands, enhance existing processes and reduce risk," D'Alfanso said. "At the same time, regulators must be more open to engaging with tech suppliers and [financial institutions], providing proactive assessments of how they may interpret the risks associated with a new technology." And advocating an approach to regulation that enables responsible experimentation in the financial sector, improves regulatory agility, and advances American interests abroad. Financial technologies have enabled financial services firms to gain efficiencies and lower regulatory compliance costs that followed new regulations put in place after the financial crisis of 2007 and 2008. Startups and other tech-based firms are now competing or partnering with traditional software and service providers in nearly every aspect of the financial services industry as the proliferation of mobile devices and apps – and the expansion of information flow – have broken down barriers to entry, the report said. "The increasing scale of technology-enabled competitors and the corresponding threat of disruption has raised the stakes for existing firms to innovate more rapidly and pursue dynamic and adaptive strategies," the report said. "As a result, mature firms have launched platforms aimed at reclaiming market share through alternative delivery systems and at lower costs than they were previously able to provide."